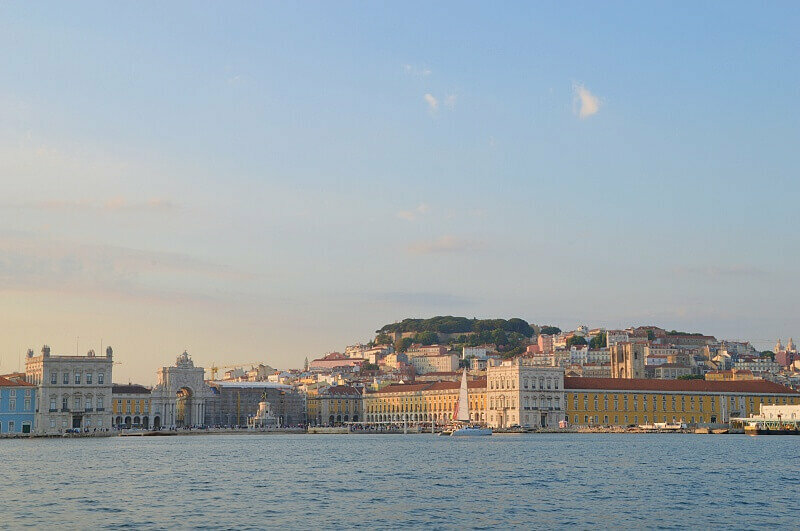 The wide waters of the Tagus River are an integral part of Lisbon’s identity and history. As well as reflecting the kind of light that inspires poetry, the river brings the city boats of all sizes carrying fish, workers, tourists and shipping containers from distant shores. Intrepid navigators once set sail for unknown lands from the Tower of Belém and the nearby electric power station later relied upon the river to generate the city’s electricity supply. 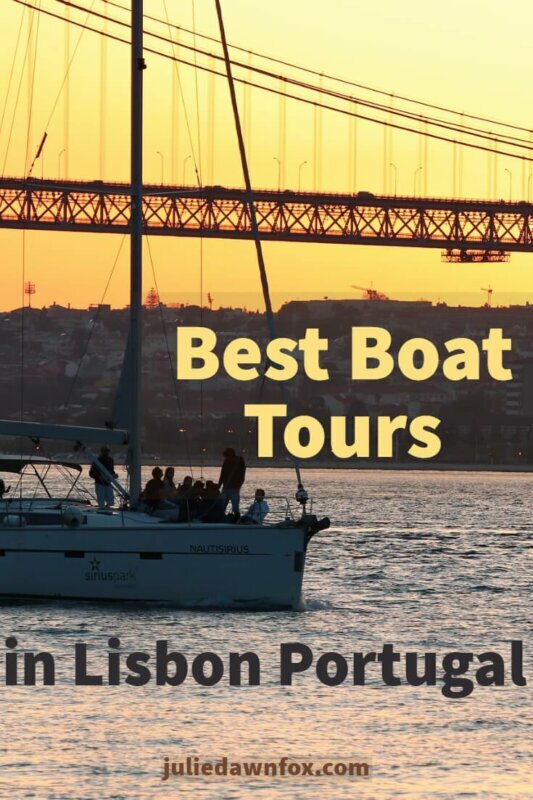 Given the significance of the river, it’s worth trying to include one of the various Lisbon boat tours in your itinerary – see this post for other things to do in Lisbon. I’ve been on a few of these boat trips over the years, the most memorable was the san diego whale watching trip I was treated to, and found them enjoyable in many ways. As well as the cool breeze, which is more than welcome on hot days, being on the water allows you to escape from the noise and irritations of busy streets. The different perspective of the sights and architecture is another bonus, especially for the views of the Discoveries Monument, the underside of the April 25th bridge and the wide-angled view of Praça do Comércio in the photo below. My most recent Lisbon boat trip has the potential for being romantic although it didn’t quite work out that way for us. 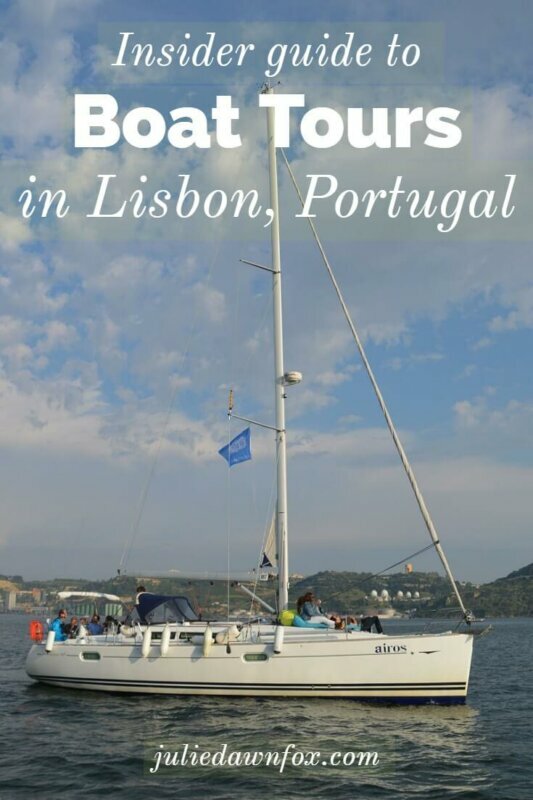 I booked Mike and I on a sunset sailing tour and once we got settled and out of Belém marina, the captain, Alex, encouraged us to venture onto the front of the boat where there are cushions for lounging. I dutifully went up front and found a comfy spot from which to enjoy the open views and appreciate the majesty of the river. Mike, however, was happier to stay in the lower seating area near the captain and listen to the commentary about Lisbon’s sights and stories so I went back to join him after a while. Although it was an unseasonably cool evening for late May, there was little wind so we used the motor to get under the 25th April bridge and as far as Praça do Comércio before hoisting the sail for part of the return journey. Meanwhile, Bruno served us wine, beer, cheese and cold meats and dished out blankets to keep us warm while we admired the setting sun in the approach to the marina. This is just one of the river tours offered by Lisbon By Boat. The small group sailing tour that we did takes a maximum of 12 people so it’s never a crowded experience although you can book a private experience if you want a more romantic boat trip. If you get a thrill from speedboats, they also have a couple of daily small group motorboat tours as well as private speedboat trips which could be fun if you’re travelling as a family or a group of friends. Take a look at the video below to get a better idea. If you give my code when booking a Lisbon By Boat trip, they’ll give you 5% off. See the Lisbon By Boat site for more details and booking form. 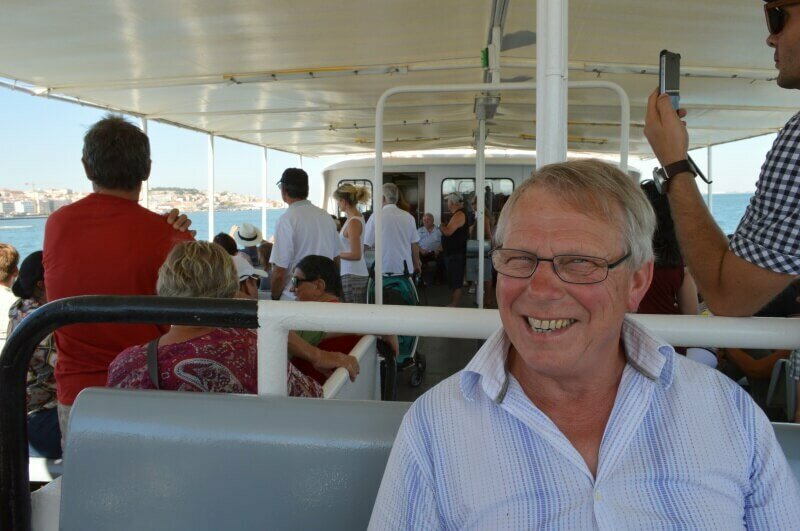 When my dad and I spent a couple of days in Lisbon it was too hot for walking around so we decided to try the Yellow Boat Tour. We boarded at Trafaria/Cais do Sodré terminal but it seems that you can currently only board at the start and end of the route, i.e. Terreiro do Paço or Belém. Even though we didn’t get first pick of the seats, it’s easy enough to see the sights as you glide past because the boat is open-sided. I don’t recall much of the commentary, except that it was difficult to hear so we stopped bothering and just enjoyed the views. If you want to actually learn something about Lisbon on your boat tour, this may not be the best option although they do supply headphones that we didn’t use. Dad on a Lisbon boat tripWhile the Yellow Boat tour carries more passengers than some of the other options, it offers certain advantages. Since it’s a hop on hop off service, you can use this as your transfer between Lisbon’s Baixa district and Belém instead of going by road or rail. 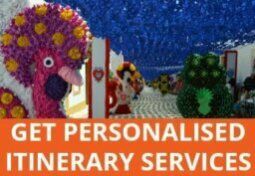 You also get a discount book and free access to the Santa Justa Elevator, Carris trams and funiculars as well as the AeroBus for 24 hours after validating your ticket. If you want to break up your sightseeing experience with a different form of transport, a combined ticket that also allows you to use the hop on hop off wooden trams that are designated for tourist use might be a good option. This way you won’t annoy Lisbon commuters by taking up space on the iconic tram #28. Or you could go the whole hog and add the yellow bus hop on hop off city tour. While a sailing or speedboat experience would be fun with children, Hippotrip is definitely a family-oriented experience. That said, Mike and I were one of several couples taking the tour sans kids so don’t let a lack of children stop you from joining in the fun. 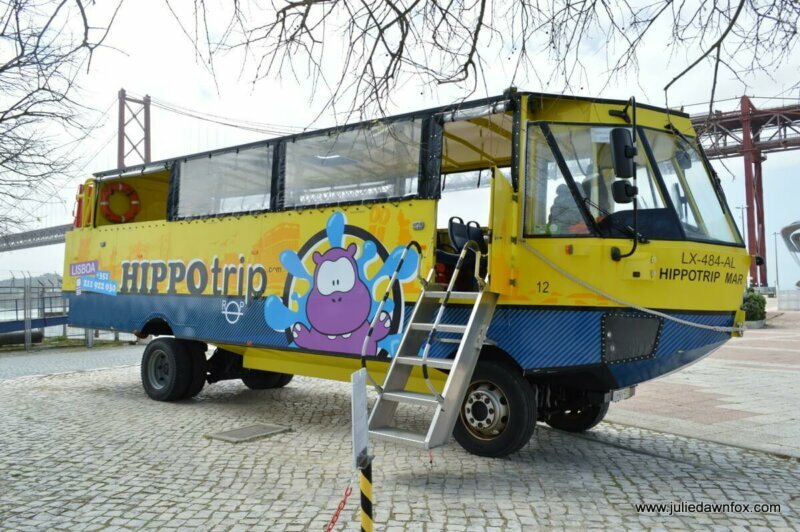 The colourful vehicle is both a bus and a boat so the tour, enlivened by enthusiastic guides, takes you through Lisbon’s streets before plunging into the river. You’ll discover Lisbon legends and curiosities and join in the Hippo Hippo cry. As a side bonus, our journey to the meeting point at Doca de Santo Amaro allowed us to see more of Lisbon’s great urban art, including a mural by Vhils. See my separate article for more information about Hippotrips tours. I’m not the world’s most enthusiastic cyclist but I’m quite tempted by this 4-hour tour which begins with a 2-hour guided cycle tour from downtown Lisbon to Belém. The return journey is made by boat, giving you chance to cool down and relax as you observe the city from a distance. Check availability and prices for the Lisbon bike and boat tour. If you like to do things differently and avoid tourist-heavy locations, this tour may suit you well. Take a traditional painted boat across the Tagus River to the town of Seixal, a former ship-building town where cod used to be dried for preservation. After lunch, the tour continues with a drive to the beautiful Arrabida Natural Park and call into a family-run winery for tastings. 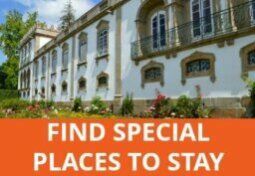 Looking for more Lisbon day trips? Check out this article with 17 suggestions. Jilie. 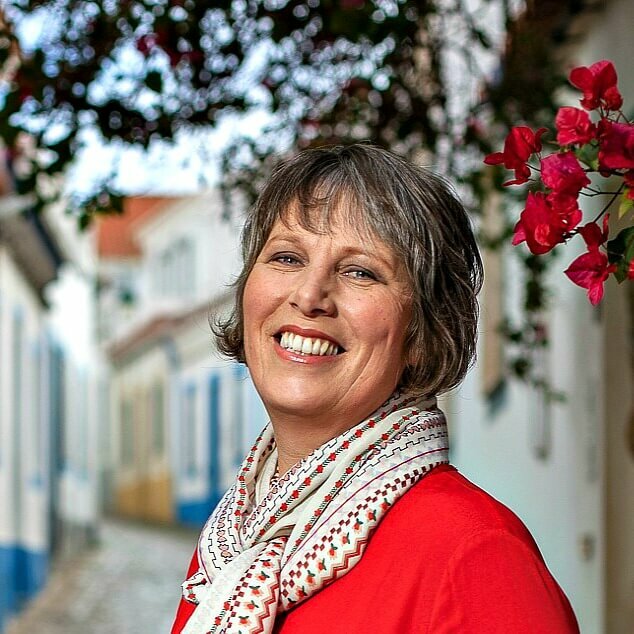 thank you so much for your tips and ideas about Portugal. I’ve never been there before but I’m falling in love with this country while reading your articles. 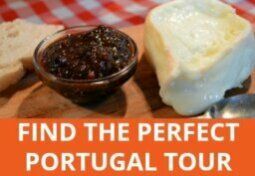 I’m preparing for my my first trip to Portugal now and I’d like to ask you a question. I absolutely love the idea of one boat tour, but which one you’ll recommend – sunset sailing tour or just plain sailing tour during the day? We didn’t have time for a Hippo trip this time but I heard from a friend who lives in Perth too that she did the Hippo tour with her kids when they visited Lisbon last year and had loads of fun.